Joris Tieleman is a co-founder of Rethinking Economics in the Netherlands. He does part-time work for Our New Economy, a charity dedicated to a fairer, more sustainable economic system. This project has received a €5.000 Grant for Small Groups from the ISRF. Economic thinking governs much of our world. But the discipline’s teaching is stuck in the past. Centred around antiquated 19th-century models built on Newtonian physics, economics treats humans as atomic particles, rather than as social beings. While academic research often manages to transcend this simplicity, undergraduate education does not – and the influence of these simplified ideas is carried by graduates as they go on to work in politics, media, business and the civil service. Economists such as myself tend to speak in tightly coded jargon and mathematical models. We speak of “economic laws”, tacitly positioning these as analogous to the laws of physics. We wrap a thick layer of technical jargon around our study material and ban all moral or ethical discussions from the classroom. We attempt to take cover under the protective white lab coat of “real science”, a phenomenon described by Nobel Prize winner Friedrich Hayek as scientism. In short, economics has become a rather quaint and highly guarded discipline. We urgently need to update economics education to change this – because economics, as taught in universities, does not reflect or speak to many of the issues of the real world, be they political, environmental or social. Take the tricky entanglement between politics and economics, which economists tend to try to avoid. Such an attempt is futile. Sidelining politics, history and broader ideas while teaching economics, as most professors do, is like studying the “natural” flows of water in the Netherlands without taking into account that there are people living there who are steering it, building dikes, reclaiming land and channelling the water – and ignoring that they have been doing this for thousands of years already. You can’t study the system while ignoring the people who make it. 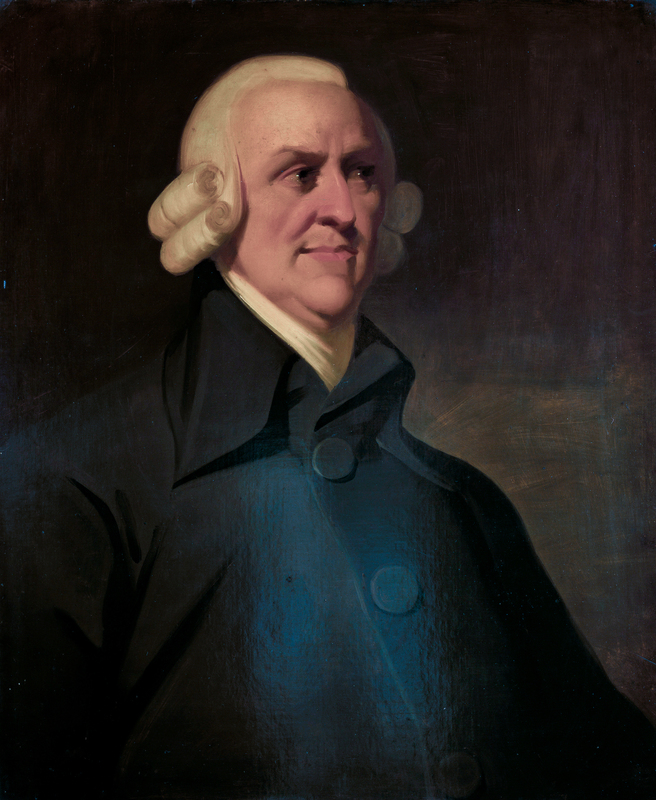 Politics and economics are inextricably intertwined, as Adam Smith, David Ricardo, Karl Marx knew all too well. Somehow this has been forgotten. This does not mean economists need to get political or choose sides. But it does mean that we ignore politics at our own peril – by blindsiding ourselves or dismissing it as “external stuff”, we hamper our understanding of the very system we study. Economists speak in numbers only, clinging to statistical data and quantitative models. We do so in the hope of looking objective. But this is counter-productive – “data” cannot tell us everything. Other social sciences such as sociology and anthropology use a broader range of methods, and consequently have a broader perspective on society. If we take our societal role of adviser on economic matters seriously, we will need to open up and adopt the insights that these other disciplines bring us about how the economy works. It is true that academic economists are aware of the shortcomings of their discipline. But unfortunately, this awareness of the complexity of the economic system does not necessarily extend to those who leave university after their degree. And this is what the vast majority of economics graduates do. These are the people who go on to work in big business, governments and central banks, who shape policy and create our “economic common sense”. So what sort of ideas do these undergraduate economics students take out of university and into some of the most important careers in our societies? Concerned student groups everywhere have started to systematically map this out. Student members of the University of Manchester Post-Crash Economics Association wrote a book surveying 174 economics modules at seven leading UK universities. They found that fewer than 10% covered anything other than mainstream economics. In the Netherlands, students found that real-world problems, from climate change to inequality, were seriously treated in only 6% of all modules and that only 2% of methods courses were not focused on statistical work. A series of subsequent curriculum review projects, including one covering 13 countries from Argentina to Israel, found similar conditions in economics programs everywhere. Undergraduate economists all over the world learn theories from textbooks that have barely changed since the 1950s. Those theories are based on individual agents, competing in markets to maximise narrowly defined “economic utility” (for people) or profit (for firms). The principles are taught with the same certainty as Newtonian physics, and are as devoid of value judgements. This is absurd. Clearly, there are values; mainstream economics values efficiency, markets and growth – and puts individuals over collectives. Yet undergraduates are not taught to recognise, let alone question, these values – and the consequences are serious. The models taught in our education ignore inequality, while our societies are being torn apart by it. In our classes, relentless economic growth is an unquestioned dogma, yet this same economic growth is rapidly ripping apart the ecological foundations of our world. And while we all may individually donate to charities, separate our trash and feel guilty about flying too much, we are collectively handicapped in reforming the very system that drives these problems. There is hope for change, however. In the UK, a number of economics programmes are gradually becoming more pluralist in terms of theory and methods in response to the movement. Goldsmiths College in London, for instance, has renewed its PPE programme to include the same, and add other disciplines. And the Schumacher College in Devon now offers an Economics for Transition MSc which explicitly ties together economic and ecological systems. Meanwhile, an international accreditation system for pluralist Masters programmes is being set up. But we need renewal on a much broader front: a new approach to economics education, one which does not hide behind the self-imposed limits of 19th century physics-style modelling, but instead considers the societal role of economists seriously. We need an economics which focuses on the entire economic system and which acknowledges all relevant sources of knowledge, rather than apprehensively clinging to statistical data. And one which addresses the issues that are most pressing for society, not those that comfortably fit within its mainstream method. Let’s hope that we don’t have to wait for the present generation of economists to retire before this can happen. By that time, it might be too late.